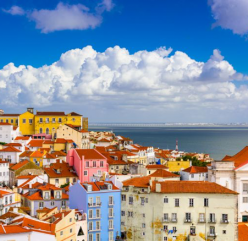 On this 10-day excursion, you’ll discover the true essence of Portugal when you visit its two largest cities, Lisbon and Porto. Enjoy five-star accommodations, awe-inspiring landscapes, world-class cuisine and exclusive financial insights. CEO & Executive Publisher Julia Guth, Chief Investment Strategist Alexander Green and lifestyle expert Fritz Satran invite you to explore the country everyone’s talking about in true Oxford style! Click here to catch a quick video from Alex Green with more details! For the full details on this event, click here. If you’re ready to reserve your spot, please contact Karoline Bowman by phone at 410.366.5494 or 800.638.7640, ext. 113, or by email at karoline@aesu.com. When you attend a Private Wealth Seminar, you are guaranteed to leave with a full understanding of every timely strategy and recommendation that is given. Here you have the opportunity to meet the editors behind the effective strategies you read about each week, including Alexander Green, Marc Lichtenfeld, Steve McDonald, Karim Rahemtulla, Matthew Carr and more. 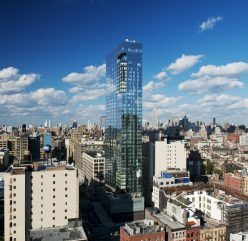 As the only Five Diamond property in New York City’s SoHo neighborhood, The Dominick offers guests unsurpassed accommodations and sweeping views of Manhattan and the Hudson River. Experience paramount service, spacious accommodations, a world-class spa, outdoor pool, three food and beverage venues, and some of the best event space in New York. The Dominick is one of three premier hotels in New York City that are prestigious enough to have made it into Preferred Hotels & Resorts’ Legend Collection. For more information please click here or email Meg Rakes at voyagerclub@oxfordclub.com. You can also call her at 410.895.7935 or 833.288.1434 (toll-free). Green, Marc Lichtenfeld, Steve McDonald, Karim Rahemtulla, Matthew Carr and more. 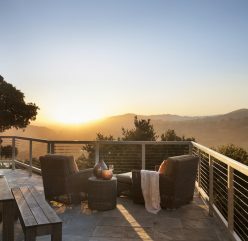 Beyond Carmel Valley Ranch’s 500-acre playground, you’ll find a destination worthy of its world-class status and local fan base. While it’s a given that the natural beauty of the area draws visitors with scenic vistas, a relaxed pace and boundless outdoor play – including golfing, biking and sailing – it’s the dreamy wine tasting and dining in local restaurants that keeps devotees coming back time and time again. just around the corner from Carmel Valley Ranch. We would like to extend a personal invitation for you to join us on The Chairman’s Circle Wealth Cruise, March 16-31, 2020, aboard one of the top-rated cruise ships in the world, the Crystal Symphony. In between vibrant ports of call, our world-class experts will examine the outlook for stocks and bonds, as well as other markets, and share profit-making insights identifying where potential returns can be found and where outsized risks loom. 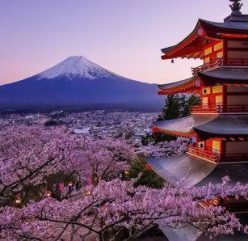 I can’t imagine a more delightful way to put some profitable picks in your portfolio than these fabulous investment seminars-at-sea, with a team of truly outstanding experts, a beautiful ship and a great itinerary. And all while enjoying great camaraderie and relaxing in an atmosphere of unconditional six-star service. This truly is a golden opportunity, and I hope you will join us. For more information please CLICK HERE, or call the Chairman’s Circle Cruise Office at 1.888.684.7245.